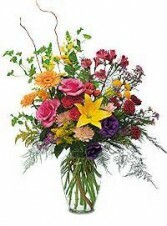 Let ADDIE LANE FLORAL deliver a beautiful surprise for you today!! 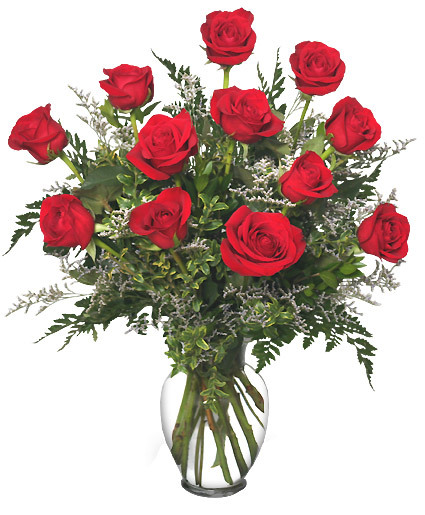 This vase of brilliant PRFMIUM red roses is an elegant and natural way to say, "I love you." Call our shop or order Blaine, MN roses online today! Long lasting beautiful cymbidium orchid designed in a wide clear cylinder vase with natural river rock. Colors of cymbidium orchids may vary. This is 24" tall by 4" wide, very impressive! 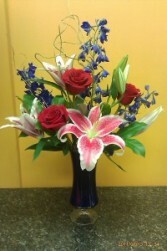 Always a popular bouquet, Miki's Wild one includes red roses, blue delphinium and wild curly willow arranged in a unique blue or red glass vase.